EonStor Fibre Channel systems are designed to help SMB users deploy highly reliable FC SAN featuring excellent cost efficiency. 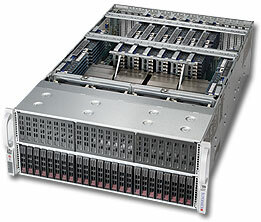 They feature fault-tolerant hardware designs, robust availability and high capacity. Leveraging Infortrend's world-class RAID innovation and Fibre Channel technology, EonStor systems deliver breakthrough performance for data-intensive applications, helping users meet data center demands in a SAN environment.